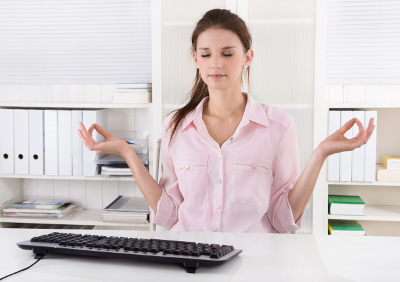 Businesses are embracing mindfulness rapidly. The 2014 Time Magazine article, “The Mindful Revolution,” was hardly the beginning. It documented what was already a major trend. It is now said that a minimum of 135 companies are offering their employees some form of training in meditation and/or yoga. An early adopter was General Mills, where more than 500 employees have participated in mindfulness meditation programs. Every building on their main campus in Minneapolis now has a meditation room. Google, HBO, Apple, and consumer giant Proctor & Gamble are among other large companies to offer mindfulness training and space for meditation. Not only that, business schools are beginning to teach mindfulness. The prestigious Harvard Business School, for instance, offers an independent study program called Meditation & Business Leadership. Can mindfulness training help business executives to enhance focus and clarity, to become more effective and empathic leaders? Can it help employees to be happier and more productive, to work more harmoniously with their colleagues? Studies of these and related questions are yielding positive answers. See the Science of Mindfulness page for some details. By engaging More Than Mindful‘s expertise, you can bring these benefits to your business. See the Services and Contact pages for further information.